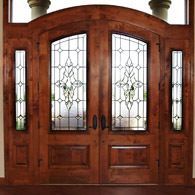 Beautify your home while adding privacy and elegance. 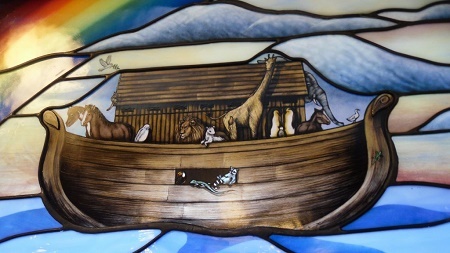 Colorado Springs has a significant amount of stained glass that people often don’t even take the time to consider. Not only is there significant amounts of world-famous stained glass in the Air Force Academy Chapel but the city’s many churches also have beautiful stained glass installations. For those who love the look of custom, hand-crafted stained glass and would like to add it to their homes, offices, or houses of worship, we want to work with you. 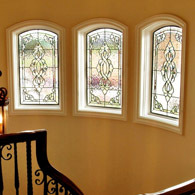 The homes in both older and newer Colorado Springs neighborhoods are ideal for many of our stained glass installations. Many of these homes have sidelights next to their entryway doors, transoms over the door, living room and bedroom windows, or large bathroom windows over the bathtub. 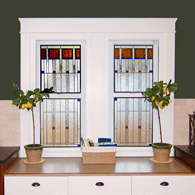 In each of these windows, as well as certain odd shaped windows, kitchen cabinets, and interior doors, Scottish Stained Glass makes an ideal addition to your home. 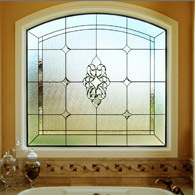 Colorado Springs homeowners can add value, privacy, beauty, elegance, and a unique high-end look that will take any room to the next level with custom designed stained glass. 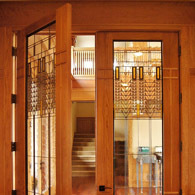 Our designers work one on one with each Colorado Springs stained glass client, ensuring they are receiving stained glass art in the styles and designs they love, that is perfectly tailored to complement and enhance the architecture and period of the home, as well as the interior décor. Clients insist that being involved in the design process is one of the most rewarding aspects of commissioning custom stained glass from us. Stained glass installations for restaurants, bars, pubs, hotels, and even business interiors can be a compelling addition to enhance the perception of space. Adding authenticity and the beauty of custom designed art glass to your Colorado Springs can make a big impact on how the public perceives your company. 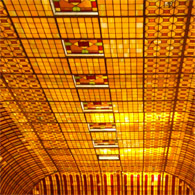 Whether adding elegance to a restaurant, color and style to a bar, uniqueness and memorability to a hotel, or beauty to any commercial space, stained glass is unparalleled in its impact. Our commercial clients like to think outside the box, commissioning striking stained glass doors, windows, lighting, skylights, ceilings, and hanging stained glass panels. Whether a client is looking for a traditional Celtic design to adorn the backdrop of an Irish pub or a modern, avant garde design to lift the interior of a trendy salon, we design and build exactly what they are looking for. Here at Scottish Stained Glass we are honored to align churches, chapels, cathedrals, sanctuaries, temples, and any other houses of worship with the centuries’ long tradition of stained glass. With our religious stained glass, Colorado Springs houses of worship can choose the exact type of design they are looking for, from the most traditional to the most modern. Famous for its many church installations, Scottish Stained Glass has worked to install, repair, and restore religious stained glass at a number of the institutional buildings across Colorado Springs. 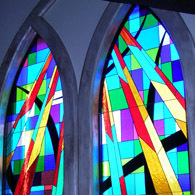 Whether we are helping you create meaningful designs for your new building, or merely helping you repair a few broken pieces of glass, Scottish Stained Glass is here to serve the stained glass needs of all of the Colorado Springs’ religious institutions. 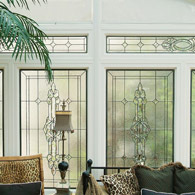 Scottish Stained Glass has produced more than 40,000 windows for more than 12,000 customers across Colorado over the past 20 years. 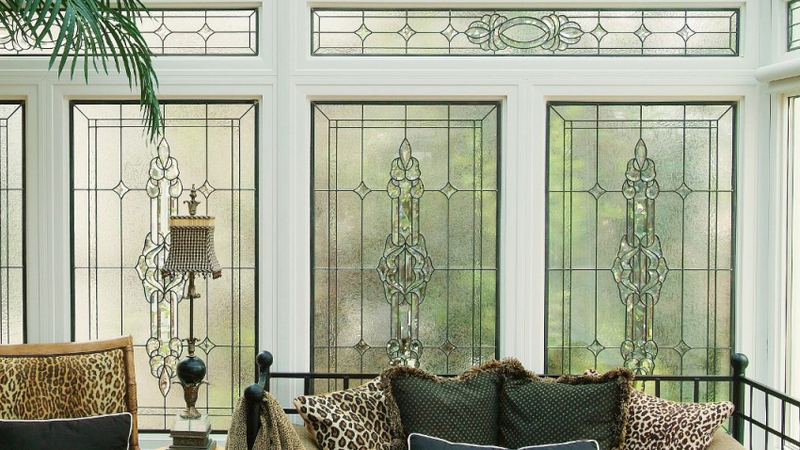 Our stained glass designs range from contemporary to traditional. 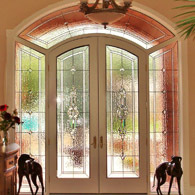 When working with our stained glass designs, we work with specific elements of your home or business to create something that is unique to your building. 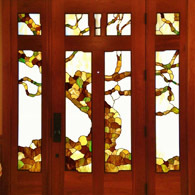 We can also look to photos, art, or existing glass installations to create our custom stained glass designs. 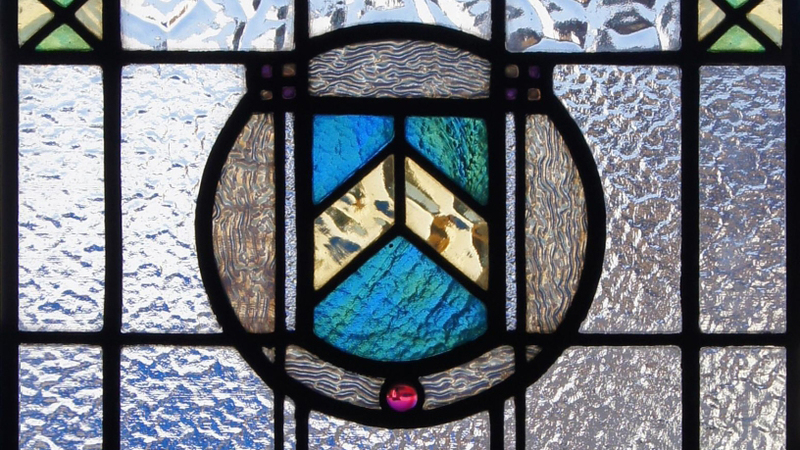 While many stained glass studios tend to work on only a handful of stained glass styles, Scottish has created nearly every style of stained and leaded glass design imaginable. 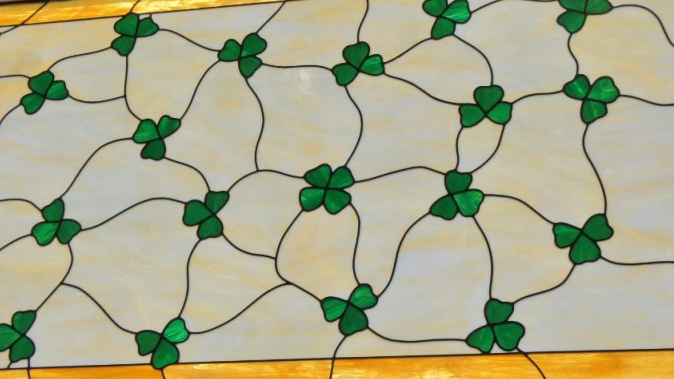 We have completed stained glass designs in the Prairie Style (also known as Mission style), Celtic Styles, Victorian Styles, Charles Rennie Mackintosh, Art Deco, Greene & Greene, Art Nouveau, Floral, Antique and much, much more. Scottish Stained Glass not only serves Colorado Springs, but also Manitou Springs, Monument, Falcon, Fountain, Cripple Creek, and the entire southern region of Colorado. Contact us today to schedule your free consultation.